In any project involving a new document or document revision, before the writing begins, a foundation for the project is established based on research and analysis of the requirements that the new document or version will meet. 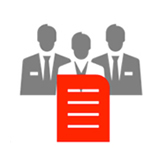 The status of related documents is verified to determine the impact of the project within the document group. Regulatory authorities and guidance are considered if a component of the work is driven by compliance issues. In addition, customer requirements and guidance are also evaluated, internal and external stakeholders are identified, and the company's business goals in relation to the new document are are clarified, especially if the document is intended to lead to new work. For policies and procedures, a purpose statement is drafted that the content of the document will be designed to achieve. Based on the information obtained, an outline is produced to guide the writing of the content, including the level of detail needed to ensure that the purpose of the document is fulfilled withim time, page limit, and any other limitations known. Technical content of developed by a process of coordination with business process owners, subject matter experts, and program managers. Contributions to procedure content are sought from all levels of the organization. Coordination for the development of system documentation involves the design team, support personnel, and any user groups that were established. User documentation also requires substantial participation of technical support personnel, whose working aids should be well aligned with materials developed for users. Effective coordination during the documentation process results in the development of consisent terminology, style, and voice across related documents and sections of a single, complex document that will need to be harmonized. 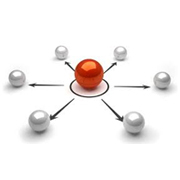 Coordination aids in the identification of gaps, inconsistencies, and overlap between processes and leads to streamlining of information flows and actions. Above all, coordination ensures that processes and capabililities described are well grounded in the tasks that personnel perform in their established roles. Review of documents is critical for the resolution of issues that arose during the writing process. Reviews are best conducted by circulation of the same draft among all reviewers with each commenting on the text and on comments made by others. During the review, the vast majority of issues are normally resolved by consensus. To address issues about which there was no consensus, a search for solutions is conducted one-on-one with each reviewer until an agreed approach is found. In the very few cases where an issue is not resolvable, the team engages in face-to-face discussion to clarify the different points of view. If resolution is still not reached, remaining matters of controversy are forwarded to final approvers and addressed within the approval process. On a regular basis during all work, management is kept informed of the status of documents, of unresolved issues, and of any barriers to timely project completion. To ensure long-term sustainability, a system is maintained to provide for the periodic review of published documents and updating as needed to align with system changes, regulatory changes, and process improvements as they are introduced. In addition, templates and forms are maintained to ensure the consistent structure and format. Nomenclature rules are adhered to to permit documents to be easily located and maintained within the document system. Documentation that is well researched and developed within a disciplined process of research, coordination, and review reflects completely and accurately the performance of personnel and systems. Examples provided are meaningful and illustrate actual stituations. Proposals represent the cababilities of the business in a complete and compelling manner and persuade the customer of the value the of the offer. Adherence to high standards in the development and maintainance of a documentation system ensures that documents are kept up to date with changing practices and systems upgrades over time. Retiring obsolete documents and updating active documents to reflect the current status ensures users of the reliability of informtion on which they depend. Developing effective documentation and maintaining a document system supports effective training, reduces regulatory risk, and formalizes quality processes that are essential for a business to grow.